Squeak Squeak! 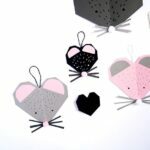 Here come the mice… we have yet another adorable little Origami Craft for you. 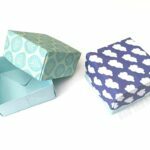 If you have mastered the super popular (and super EASY) Origami Bunny and Origami Butterflies, you may be ready for the “next step”. 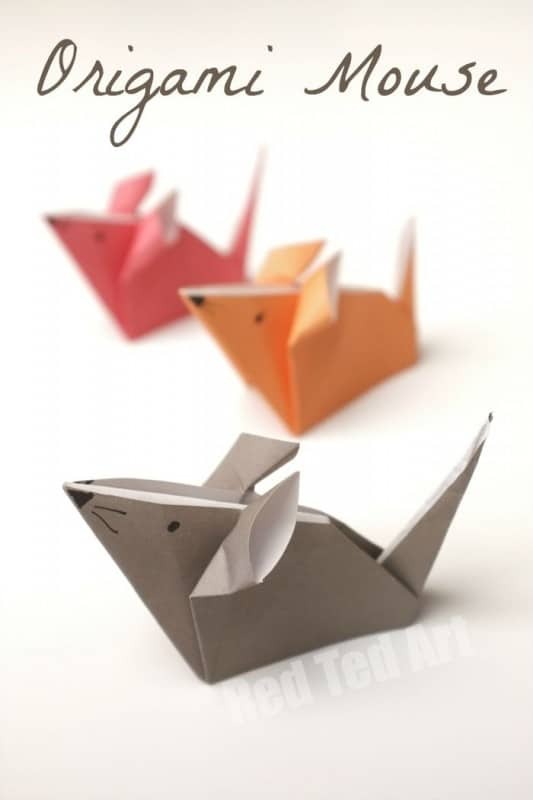 These Origami Mice are not as tricky as they look and yet they are super duper cute, don’t you think? I love their ears best! Fabulous. 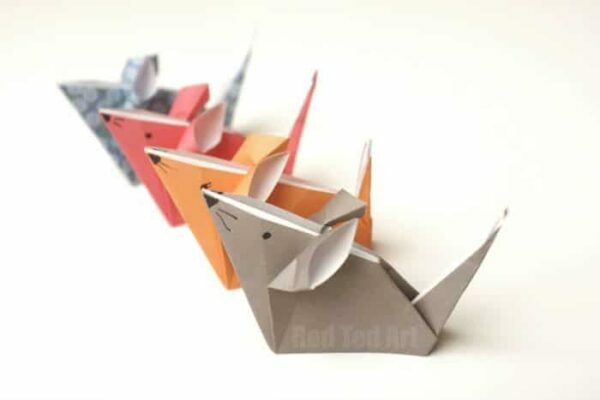 Do have a go at learning how to make an Origami Mouse today! 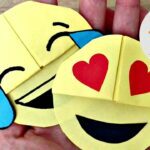 They make for an adorable playset – would also work well as part of a “hickory dickory dock” song and games. 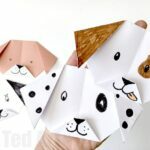 If you are just getting into paper crafts and Origami Crafts, do look at all the ideas we have for you here on Red Ted Art. 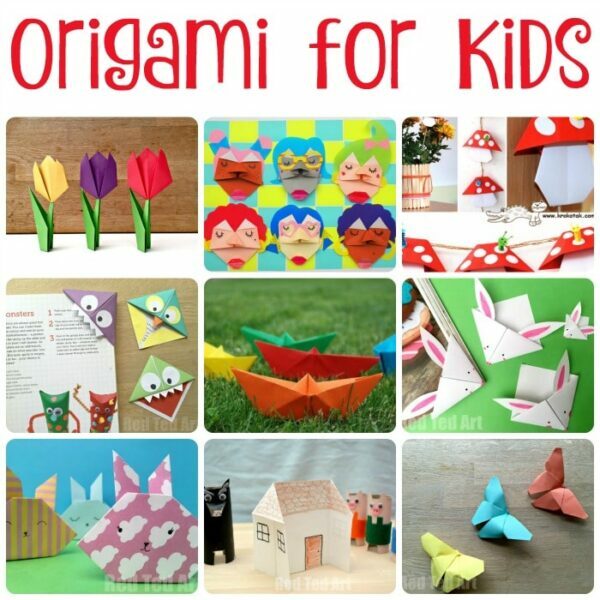 There are LOTS to choose from and the majority of them are GREAT for beginners and children! 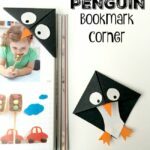 Now all that is missing an easy Mouse Origami Bookmark… watch this space! 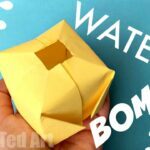 This would make a great Year of the Rat craft for Chinese New Year 2020! 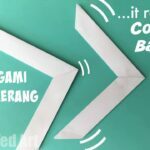 I hope you enjoyed our little video! 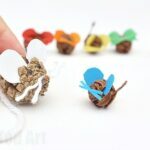 Please do check out and subscribe to Red Ted Art on Youtube!